The New Moon in Libra rises just one day after the equinox, making this one of the most potent lunations of 2014. You’ll want to set intentions around collaboration, union and partnerships, contemplating where you want to share your life be it business, friendship, artistry or romance. The Sun/Moon in Libra awakens resources in the house it transits including an objective and astute mind, fluid and refined communication skills, sociability, enthusiasm for artistic expression, beauty, creativity, the desire to share and a graceful path to charge. Libra by HOUSE is an area of life where we need to share our ideals, socialize, experience beauty and refinement and accommodate to the needs of others so we experience ongoing relationships and connections. It requires a finely tuned balance between self-direction and collaboration expressed through ideas, companionship and artistic creation. Think about where Libra is in your chart and watch the light switch on! This tutorial on Transits of the Sun will show you how to find the degrees in your house cusps. Also watchTransits of the Moon tutorial for further insights. Note which house you have 0 – 1 Libra and put some thought and focus there, in that area of life. Because this New Moon is on the Equinox, it falls within one degree of the O Degree Aries Point (which included all four cardinal signs). It symbolizes added power, drive and significant. On top of that, it links to Mars in Sagittarius, adding fiery drive and heat. You’ll be inspired in all kinds of ways and it’s quite possible change will be easier, more graceful now. Think of the planetary ruler of the sign of each new decan. They add their own spark of energy to the mix. For the New Moon at 1 degree Libra, it falls in the 1st, or Venus rules decanate, adding a double whammy to the Libra-Venus vibe. 0 to 9′ 59 Libra: – Easy going, with a cultivated and gentle nature. Nothing course or raw here. Sensual and artistic; social and attracting. Doesn’t like to do things alone. Needs to express creativity. ARIES or 0 LIBRA in the 7TH House: The New Moon in your house of personal one-to-one relationships, business or pleasure, has a wild, adventurous, breakout feel! You want to go of anything that smacks of ‘toleration’ and getting on with life. Bold, dynamic and ready to roar! Get thee to the adventure! TAURUS or 0 LIBRA in the 6Tth HOUSE: Take this super-mojo energy and pour it into your health and well-being. Set new gym goals, start the best ever nutritional program and light a fire under all your beliefs about what you can and can not achieve. Drop the ones that don’t support; exalt the ones that do! Move the body. GEMINI or 0 LIBRA in the 5th HOUSE : This is all about co-creation, brainstorming, mind-melds and magic Muse conjuring. Also surprise dates with hotties! There is a project at hand that benefits from partnership. All you have to do is reach out. If at first no one steps up, partner with your Muse, your ever present creative spirit who is waiting to be met halfway! CANCER or 0 LIBRA in the 4th HOUSE: If there is one place to ‘get yourself correct’ this month it is in the home and those you live with. Think external – repairs, Feng Shui, de-clutter, collaborative sanctuary creation mode. Internally – emotional peace and psychological stability with all intimate connections. One supports the other. Get to it! LEO or 0 LIBRA in the 3rd HOUSE: Your New Moon is in the house of communications, supporting rash and honest ‘clearing of the air’ statements. This gets you and all your relationships on track, up to date and free of constraint. No more hedging the difficult ‘issues’. Let it out. Purge. Connect! Writing or speaking collaboration rocks. VIRGO or 0 LIBRA in the 2nd HOUSE: This New Moon is all about developing talents and resources that excite you the most. No going it alone! There is someone out there who is ready to collaborate, supporting your in your creative genius. Connect with two goals in mind – creative self-expression and financial abundance. Win-win. LIBRA or 0 LIBRA in the 1st HOUSE: This is your personal New Moon and with it comes the creation of balance between what you experience as Self and what you perceive as Other. No more all or nothing when it comes to partnerships and unions. Your primary relationship is with you. Nurture that AND explore. Amp up self love. SCORPIO or 0 LIBRA in the 12th HOUSE: This is you ‘shadow’ New Moon, a time where you chill, meditate, immerse in beauty and form connections to your inner world. (‘Imaginary’ friends can be most beneficial right now.) Call on your angels, conjure your ‘Deamon‘ and raise your phantom! Explore behind the veil. SAGITTARIUS or 0 LIBRA in the 11th HOUSE: The ‘friendship’ New Moon is upon you! Get out of any routine, or spiral trajectory, and find, honor and appreciate the bejazza out of your friends. Celebrate the people in your life who vibe like you, understand your quirks and love all the crazy things you do. Connect. Connect. Connect! 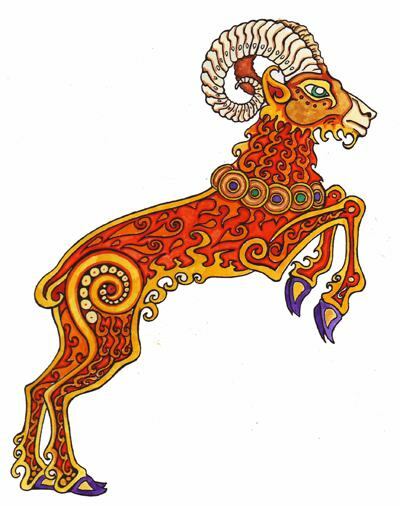 CAPRICORN or 0 LIBRA in the 10th HOUSE: Time to buff up your public identity and connections to the collective. A glorious New Moon of empowerment, potential and ultra-savvy leadership awaits. It’s not about having to be perfect. It’s about having a generous heart, caring about your collective and participating with integrity. Join in. AQUARIUS or 0 LIBRA in the 9th HOUSE: You will LOVE this as long as you have enough ‘space’ around you, which is really a state of mind. Let go of all the ‘facts’ and things you know ‘for sure’. It’s time to be blown away by the realm of infinite possibilities. As you travel (metaphoric or real), you gain epiphanies through friends. PISCES or 0 LIBRA in the 8th HOUSE: The New Moon in Libra is an arrow pointing towards intimacy, connection and transformation through love. All you have to do is show up. In your willingness to become more than you already are, surrender to the call of the wild, the unknown, the unknowable. Follow your heart and merge! Over at GoodVibeAastrology, Jeannette Maw and I will be running our free call on the 24th, introducing our next course:- Astro-Biz – 5 steps to rock star entrepreneurship. Bring along your charts for some on the spot insights. We’ll be talking about all 5 steps on the call. Early September opens with the dark moon in Leo, waning to the New Moon in Virgo on the 5th! Muse on your goals, rituals and habits from now, ready to set strong intentions for your ‘Virgo’ area of the horoscope on the 5th. On the 9th, Mercury crosses the Zero Degree Aries Point. The AP includes all four cardinal signs, Aries, Cancer, Libra and Capricorn, and symbolizes a movement from inner desires to outer manifestation. With Mercury (thoughts and communication) involved, it’s a chance to ‘reset’ our focus, thinking in new ways, particularly in the area of life where you find 0 degrees of your cardinal signs, the natural ‘cardinal cross’ in your chart. As the first degree of Libra, this placement says, “I relate”, suggesting how our drive to interact with others in socially significant ways . We’ll want to move that from the realm of ‘ideas’ out into the world of others. It’s a chance to put awareness on our thoughts and ways of communicating. Be ready to capture the attention of others! On the 11th, Venus moves into the sign of Scorpio, a powerful, intense and dramatic ‘cloak’ for this ‘relationship’ energy. Venus does rule our one-to-one dynamics but let’s remember this planet is also about our core values, self-esteem and sense of abundance. A great exercise to get into alignment with our core self is the ‘Worthiness Magic’. Do the exercise once a day while Venus is in Scorpio and watch your world change! The Full Moon in Pisces is on the 19th. This is a powerful time to tune in to inspiration, intuition and creative impulse. Synchronicity abounds, so open your eyes to this magical aspect of life. Full Moon in Pisces softens some of the harder edges around current astro, the Pluto/Uranus square in particular. Whatever you’ve been reluctant to deal with, or fighting against, takes on a new tone – lighter, gentler, more approachable. It’s all in the mind, how you choose to respond to the experiences around you. Take this as a cue to empowerment and remember, you decide! Pluto goes direct on the 21st, tuning us into events and emotions from December 2012. Release resistance to any contrast or upset. No point having a power struggle with yourself! Sun into Libra on the 23 marks the Spring or Fall Equinox, again activating the Zero Degree Aries Point, the one Mercury pre-paved at the start of the month. This boost our energy, vitality and drive as we seek to express through society, partnership, collaboration and all forms of relationship. Get out there and shine! Mercury enters Scorpio on the 29th, a sign the ‘messenger of the gods’ will be in until the end of the year! Get your Scorpio house correct as you listen to the messages from your heart, minds and body. Tune in, slow down, and experience! Comments welcome! Have a great month, everyone!